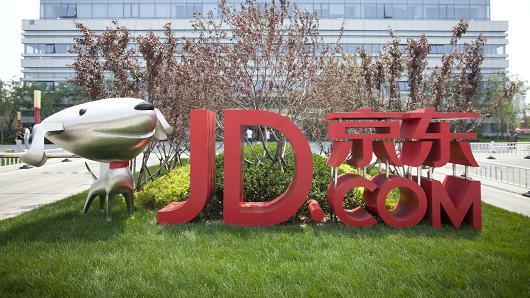 China’s second largest e-commerce giant has developed a drone which can deliver packages weighing as much as one ton throughout rural areas of the country, according to JD.com‘s Chief Technology Officer (CTO). “So today, as you have seen in China, e-commerce is huge but in remote villages most people are not benefitting from e-commerce… so to solve that problem we will develop our drone program,” Chen Zhang told CNBC at the Consumer Electronics Show in Asia on Thursday. Chen explained JD.com is currently developing six different types of delivery drones across 10 different provinces in China. The company has drones that can fly up to 100km per hour, delivering packages weighing from 5kg to 15kg, and is also currently testing drones which can carry as much as 1000kg – or one metric ton. The maximum distance they can travel is approximately 50km before recharging. “This is a radical industry right? Once the industry has solved the battery issue, we believe at that time our technology will be mature and we can fully operationalize our drone delivery program,” Chen said. The Beijing-based firm also said it would continue to work on developing fully automated warehouses in order to improve the company’s efficiency. Chen suggested that if JD.com converted its warehouses in this way, it would be able to store up to 10 times as many goods in the same space. JD.com has been developing its drone capabilities since October 2015 via its JDX innovation lab. It started trialing flights in June 2016, using the devices to deliver to rural China, the company explained in an online statement posted in November 2016. JD.com isn’t the only company looking at delivery by drone. Amazon has partnered with the U.K. government to test drone deliveries and recently designed a UAV (unmanned aerial vehicle) with robotic wingtips and legs that act as landing gear to help them touch down on uneven surfaces. The U.S. based e-commerce giant also announced it would open a 60,000 square foot development center in the U.K. focused on artificial intelligence (A.I.) and drone delivery research. — CNBC’s Lucy Handley contributed to this report. Tack fÃ¶r en givande och intressant blogg.De sistnÃ¤mnda kedjorna bÃ¶r vara intakta frÃ¥n senaste matchen som du ocksÃ¥ satt upp. DÃ¤remot skulle jag gÃ¤rna vilja se SkrÃ¶der, Spina och Hari i en kedja.Sedan Ã¤r det SundstrÃ¶m som antingen ska spela med Nagy/Kempe eller Ritola/BjÃ¶rn S. Ska Ritola spela vill jag ha BjÃ¶rn S tillsammans fÃ¶r deras kemi samt spel passar bra ihop. Vilket par ska stÃ¥ Ã¶ver? What an awesome way to explain this-now I know evenhtyirg!